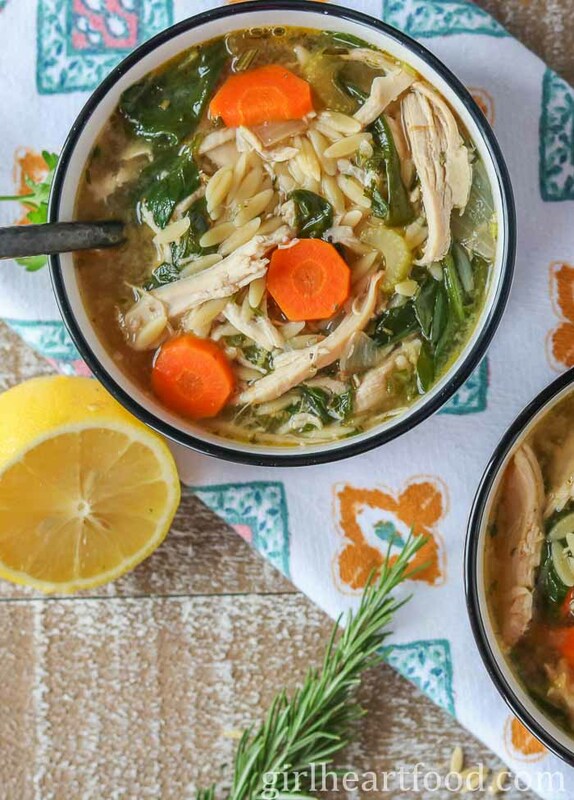 Lemon Chicken Orzo Soup – Loaded with lots of veg and chicken this comforting soup has a yummy punch of flavour from lemon juice and zest. 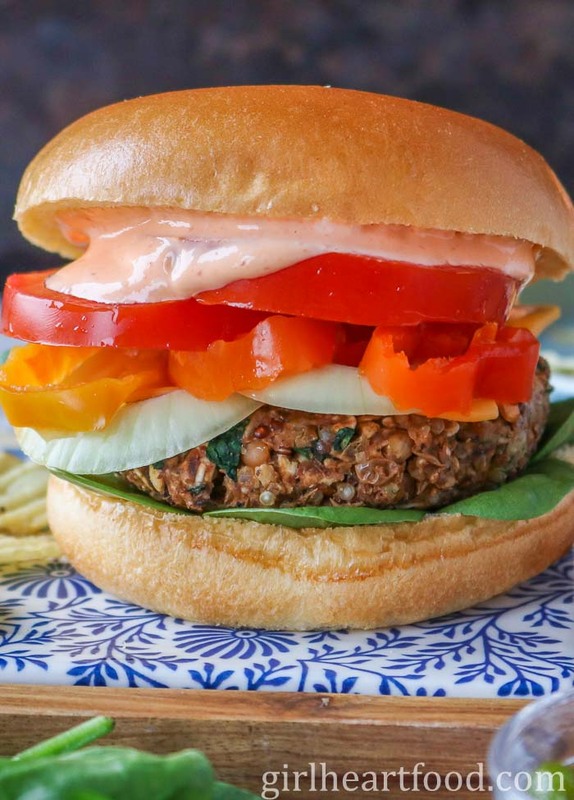 Vegan Lentil Burger – Super filling and oh-so-yummy, these veggie burgers are easy to whip up and freeze well. 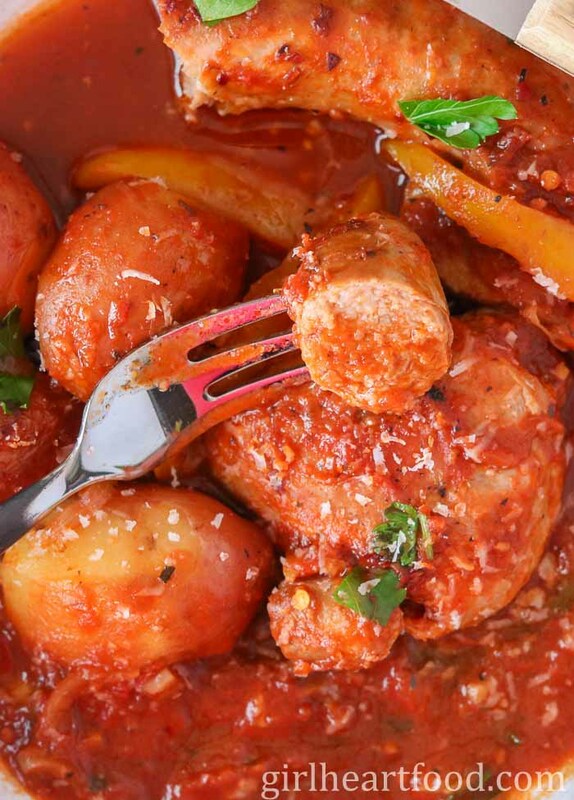 Chicken, Sausage & Peppers – This hearty comfort food dish has chicken, sausage, peppers, mushrooms and potatoes. 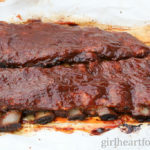 So good for Sunday supper! 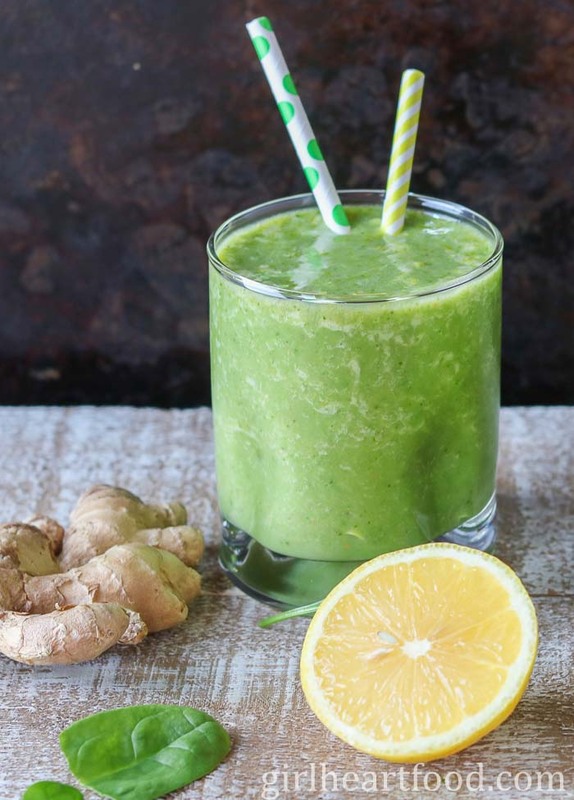 Ginger Smoothie – Chocked full of good for you ingredients, this green smoothie takes minutes to whip up and is delish! Creamy Parsnip & Apple Soup – Naturally gluten free and super creamy, this one would make for a delicious lunch or side with dinner. 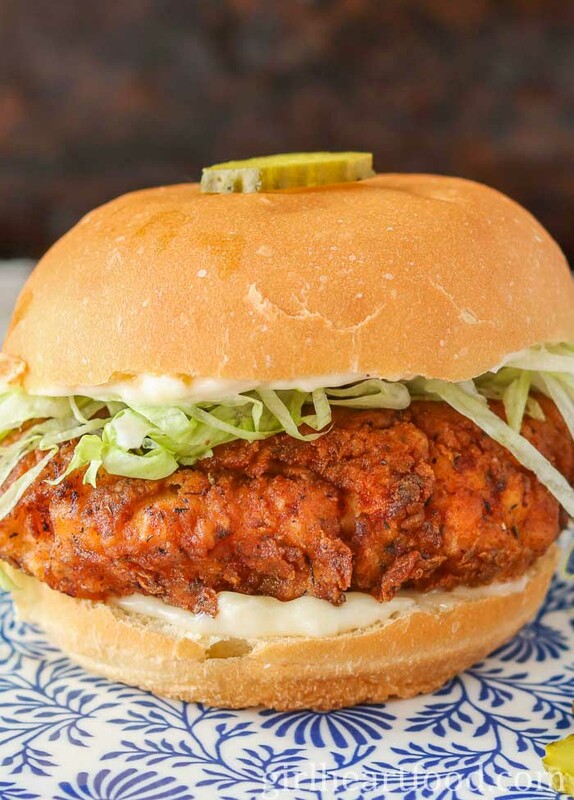 Crispy Chicken Burger – Tender buttermilk fried chicken breasts double dredged in a spiced flour mixture, these chicken burgers will hit the spot! 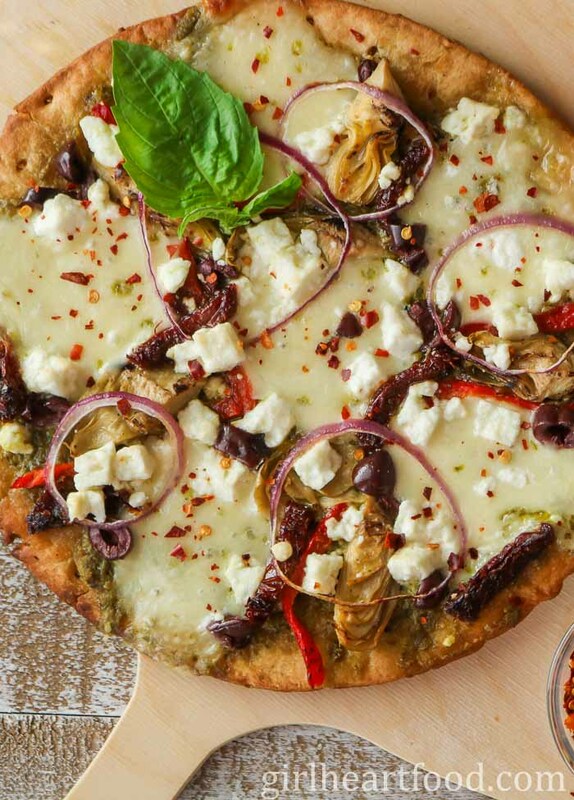 Mediterranean Pizza – This post is sponsored by CAULIPOWER (of course, all opinions are my own). This one has two types of cheese and lots of Mediterranean inspired ingredients, this pie comes together faster than delivery! 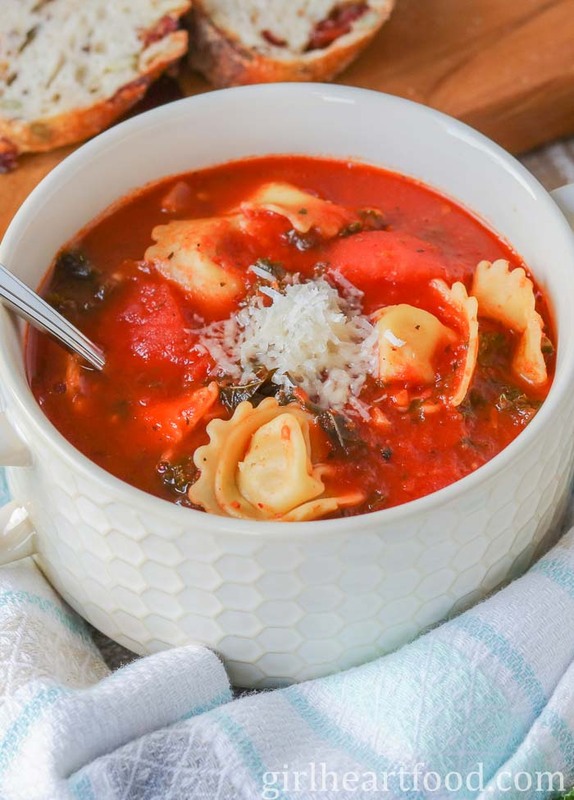 Tomato Tortellini Soup – Made in under 30 minutes, this comforting soup is delicious with a grilled cheese sandwich for dunkin’. 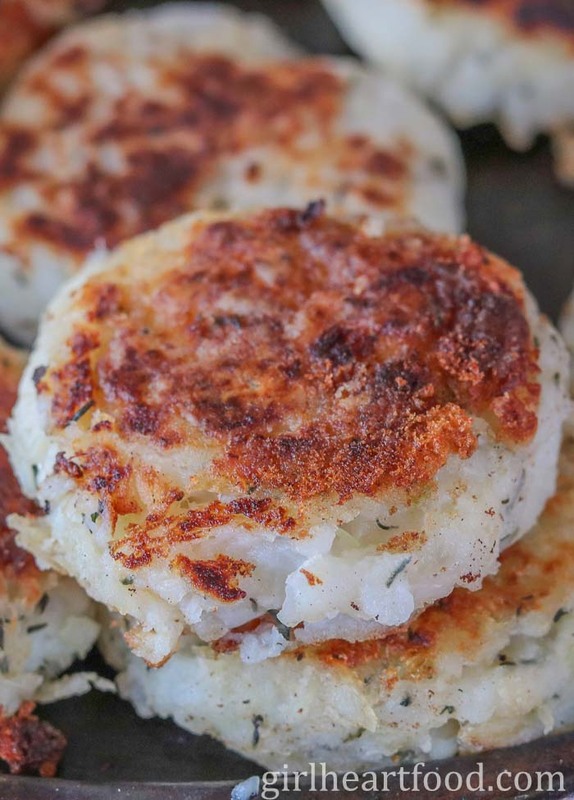 Salt Cod Fish Cakes – You guys have been loving this traditional Newfoundland recipe…and for good reason! They’re made with salt cod and potatoes and come up super crispy on the outside and tender inside. Have you tried them yet? The Marvelous Mrs. Maisel on Prime. It’s based in the 1950’s and the main character is a woman who has it all and then things go a little pear shaped. There’s definitely lots of laughs, though!! Good Girls Season 2 on NBC is back on. I love this show, you guys! It’s giving me all kinds of ‘Breaking Bad‘ vibes with female leads. Walk me Home by Pink. To me, this one has a slight, just a slight, country feel to it. It’s different than Pink’s usual stuff, but I like it. How about you? As always, hit me up with what you’re listening to now. I’m always looking to add to my list. Translation: Who’s your mom and dad? Have you heard that one before? Kinda makes sense, though, huh? Have you heard of a ‘bologa bowl’? Matty Matheson creates one. He is a little bit (a lot, actually) over the top and maybe a tad crude, but this guy is so entertaining. This ‘bologna bowl’ is basically bologna in a bowl with a cracked egg and cheese…and cooked in the microwave. I don’t have a microwave, nor have I eaten bologna in forever, but this totally intrigues me. Also—>how do you say ‘bologna’? Do you pronounce it like it looks or ‘bow-low-knee’? I’m definitely the latter. Have you heard Baby Shark? Holy moly. This will absolutely get stuck in your head ALL.DAY.LONG. I’m not even joking. You’re welcome, lol. Hope you’ve enjoyed my monthly round up and favourites for March 2019. What have been some favourites of yours this past month? Stay tuned for Sunday…bringing you guys another delicious recipe. Another delicious month here, Dawn! I can’t believe March is over – I just can’t keep up with the seasons. I definitely feel it more with food blogging than I did before. As soon as all my ideas for the season kick in, it’s time to switch seasons! I love your “who knit ya!” Also your “anywho!” Baby shark – you’re right. I can’t get it out of my head! Another delicious month Dawn! And yay for no March snow storms! Although, it’s not unheard of to get a blast of winter around here in April! Fingers crossed for an early spring! We had a little snow overnight, but not a big deal. Now, bring on the nice weather 😉 Thank you so much, Karen! It’s a yummy one! So much deliciousness as always, Dawn! Putting your Lemon Chicken Orzo Soup on next week’s menu. Isn’t Marvelous Mrs. Maisel just brilliant? I’m a little embarrassed to admit that we’ve watched both seasons TWICE! We can’t possibly be a quarter through the year! (Even though I know it’s true because I’m in quarterly report mode at work, I still can’t believe it!) As always, it’s not real until you post about it, haha! Your lentil burgers are on my must-make list and I’ll get to them soon I know it. Happy (almost) April, Dawn! Love your monthly roundups — these are all fabulous but it’s that chicken, sausage and peppers that’s calling to me. Might even be yelling! 😉 Cheers and have a lovely weekend! Another month of deliciousness Dawn! I’ll keep my fingers crossed there’s no more snow in your future…and mine. I’ve heard lots of good reviews for Good Girls. I’ve got to watch! Happy weekend ahead! I really cannot believe that the first quarter of the year is about to end. Thank goodness for delicious food to make me feel like my time wasn’t simply wasted, lol. Love your idea to include phrases from your area, “Who knit ya?” is pretty rad:) Happy spring! I have got to catch The Marvelous Mrs. Maisel soon – you have such good recommendations, just about ay show you recommend I get hooked on. BTW – I love Good Girls – binged the whole first season over 3 Saturdays! I am going to wait for the season to be over because I get too impatient to know what comes next – yes, I have issues! 🙂 So funny “Baby Shark” is getting so much traction these days (even the Kardashians had someone perform it) – this same song was the one my sis used to use to get my daughter to eat when she was an upset little baby – 20 years ago! Uhhh…baby shark. I can’t avoid it. Robbie loves that song, and he sings it all the time! You think I’m kidding? Not one bit. Anywho, I can’t believe it’s already time for another round up. What the heck, Dawn?? Where did my March go? Although to be fair, I’m happy about the return of warmer weather! Also, Who Knit Ya? is hilarious. One of my curling friends is a Newfie, so I’m totally going to pull this out next time I see him! Hope you have a great weekend ahead, my friend!